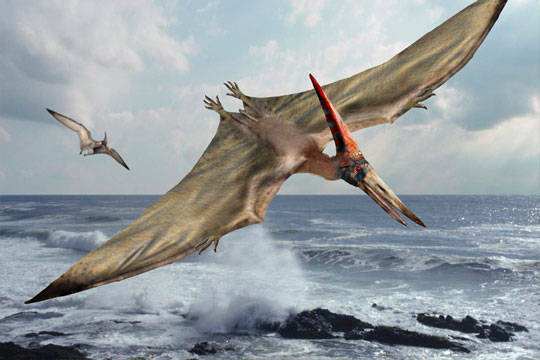 Pterosaurs were flying reptiles that lived at the same time as the dinosaurs. They could fly long distances using their tough, leathery wings. Enjoy these Pterosaur fun facts! The largest of all the pterosaurs was the Hatzegopteryx, it had a wing span as wide as a small plane! It is believed that when pterosaurs were born they could fly soon after hatching, it was a tough world back then so they had to be able to escape danger at an early age. You may find this hard to believe, but pterosaurs aren’t technically classified as dinosaurs. Have you ever wondered what pterosaur means? It actually means winged lizard. Some pterosaurs were known for their ability to hunt small dinosaurs and fish but the Pterdaustro had bristly teeth, similar to a whale, that they would use to filter small fish from the water. 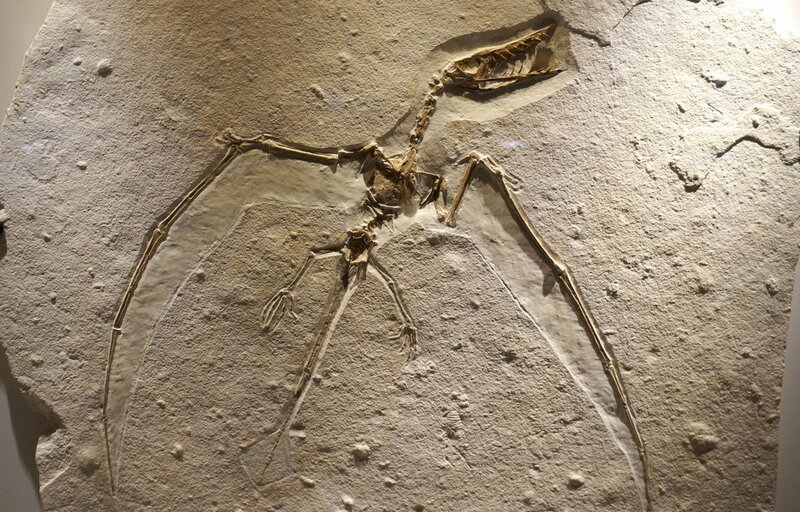 The first pterosaur ever discovered, the pterodactyl is by far the most famous. Most people refer to all pterosaurs as pterodactyl, however, scientists do not. Pterodactylus is a classification of pterosaurs, not a specific species! The fast speed recorded by any animal is 238mph achieved by the Perigrin Falcon. Pterosaurs were fast, but no where near that fast. It is believed they topped out at around 75mph.